When I started Tū Mai Te Toki in 2013 - the loss of $5.3 million by Te Rūnanga o Ngāti Awa, through its financial company, in at least three failed investments had just been confirmed at the tribe's annual general meeting. Before then I had thought stories about a luxury golf course in Northland, commercial property in Wellington and a wireless internet network that used technology from Israel sounded like outrageous gossip, but turns out it was all true. And, more. So, I started Tū Mai Te Toki in a bid to gain a better understanding of what was happening in the rūnanga and to encourage greater transparency within Ngāti Awa. Through the blog, I explored the tribal politics of Ngāti Awa and tried not to shy away from asking the uncomfortable questions. I learned not to take the criticism personally, because Ngāti Awa deserved to know what was going on with our collective asset and there seemed to be enough people who appreciated the information. I mean, yes, I earned a few enemies, even some powerful ones, and it was a bit of work to gather and present the details but I never regretted starting and writing for Tū Mai Te Toki. However, it finally came to an end when I agreed to join the Whakatane Beacon as a reporter. After agreeing to take on the Māori affairs role, among several other responsibilities, my then-editor was concerned the blog could call into question my objectivity and required me to give it up as part of my employment. Last month, after almost five years’ service, I left the Beacon. It was a big decision because I loved working as a reporter in my home town, even with the drama and criticism that often popped up. I wrote for the readers and my job was to provide the community with information. But I wanted to expand my skill-base and my new job as a content and communications specialist at Toi Ohomai Institute of Technology is allowing me to do that. During my time with the Beacon, I had plenty of highlights including meeting great people, winning a couple of awards and writing stories that provoked conversations. But one of the best highlights, for me, was developing the new Focus section, which is published in eight pages of the Tuesday paper. It seems to be enjoyed the community and was meant to be my final goodbye to the Beacon readers and, perhaps even, journalism. However, it seems I cannot stay out of the Beacon. This week, my first Māori affairs column will be published in the Focus section and from then I will get to write one every four weeks. That got me thinking about this blog and perhaps being able to espouse my views on here. Over the past few months, there have been some things that have made me wish the blog was still around and from time-to-time I would think about reviving it. But I was always concerned about content and whether I would be able to generate enough, or would write myself into a hole where the copy would become monotonous, boring, repetitive and limited in attack. However, after writing my first column for the Beacon's Focus section, I realised I could use it to anchor Tū Mai Te Toki and then off-set it with a second piece on an issue of choice to balance it out. And so, here we are. Tū Mai Te Toki will obviously change, it's scope will widen and while i'll still, at times, talk about what is going on at the Ngāti Awa rūnanga, I'll also write about Te Ao Māori in general. The fundamental foundation of endeavouring to keep it accurate, labelling my opinion every time and ensuring to check out statements of fact before I publish will remain, but I hope to recapture that fierce determination and brutal honesty that people connected with in the first version of Tū Mai Te Toki. And if you're keen to contribute then I am always looking for new voices, who have something to say. I will only ask that we publish under your name. Yes, I see you roll your eyes when you hear the words. But this is nothing new. For years, you have minimised us, ridiculed us and diminished our way of life - we have seen it for generations. You have relegated us to stereotypes, to tiny boxes and you have tried to make us like you, except more inferior. This is not because your way is superior or better. You do it because you do not understand. It is ignorance and we are told to be polite and gracious – to maintain decorum. This is the way we have always tried to be with you - the way our old people were – but you do not see the beauty. You see the empty beer bottles, cigarettes burning in overfilled ashtrays, drug-induced rage, children with no shoes and no education. You see no job, no house, no food, no pride. You see the poor, the dysfunctional and the broken bones, minds and homes. You see the chance to judge us, to feel superior and to make us inferior, to hold us there in that pit of loathing so that you can feel comfortable about things. And when we dare speak up, when we tell you that it is your ignorance why you cannot understand us - that you cannot see our world view - you call us racist because you do not want to acknowledge the past. You say it wasn’t you, that it happened so many generations before and that we must move forward as one people. But you do not mean one people, you mean your people. Because, you do not see that your place in this society was handed down to you by thieves, rapists, murderers, liars and tricksters. You do not see from this place you were able to rise, while we were further pushed below, because we were the oppressed and you were our new masters. You do not see the privilege. And, you do not see that, in fact, it is your way that is inferior. Look around, see what your way has created, what your greed has brought. Homeless, jobless, soulless – a country teetering on the edge because you only want to be one people when we are talking about race, never when we are talking about each other. But here is where the Maori world view is superior. For we have a beauty, if only you know where to look. We have notions, beliefs, ideas, protocols and ways that stretch back to the old people, who knew how to live with nature and did not feel the need to bend it to our will. 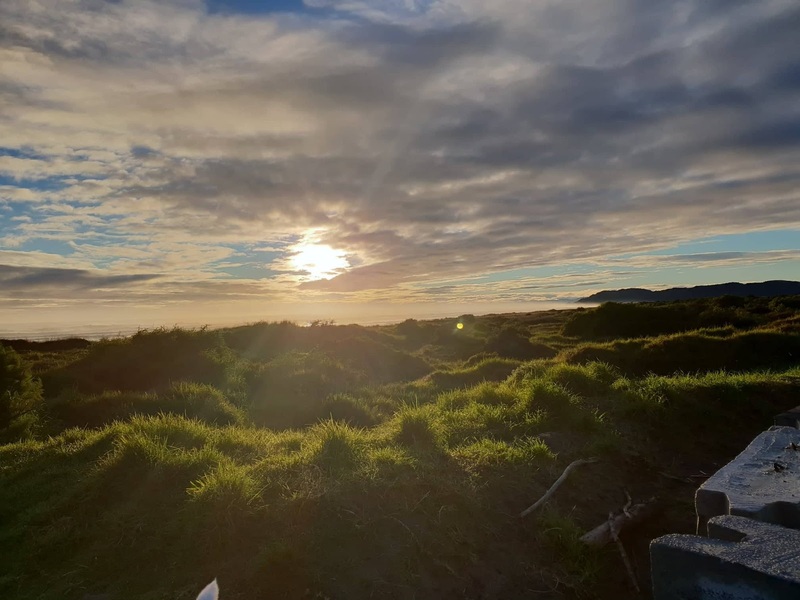 We have connections, relationships and pathways – we have whakapapa – that lead to each other and to the resources that have sustained us since before the time of Toi. And, we take care of each other, of our world, and of the future. So roll your eyes, take your shots, and remain ignorant – but also know that we know and we are rising up.